Note: Get to know the great Confucius at the renowned Temple of Confucius, Cemetery of Confucius and Kong Family Maion. Also explore the beautiful natural scenery and glorious historic sites in the famous Mount Tai. Get to know the great Confucius at the renowned Temple of Confucius, Cemetery of Confucius and Kong Family Mansion. Also explore the beautiful natural scenery and glorious historic sites in the famous Mount Tai. Our guide will pick you up at your hotel in Beijing and transfer you to Beijing South Railway Station. You will take the morning train to Taian. Our guide in Taian will meet you at the railway station and get you for lunch. After lunch, our guide will transfer you to visit Dai Temple. 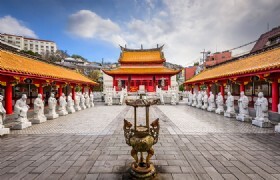 The Dai Temple situated at the foot of Mount Tai is the largest and most complete ancient building complex in Mount Tai area. Dai Temple was first built in Qin Dynasty and it used to be the place where emperors stayed and offered their sacrifices. Afterwards, our guide will transfer you to the hotel in local Taian for check in. After breakfast at the hotel, we will transfer to visit the famous Mount Tai. We will be transferred to the Midway Gate, which is on the middle way to Mount Tai, to the Heaven by the private car or van we take. Here we will switch to cable car to the top – South Gate to the Heaven. 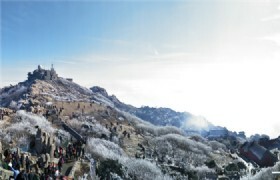 A few minutes later, you will be on the top of Mount Tai. 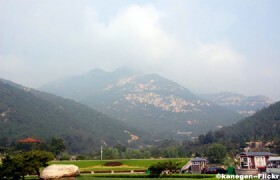 Now try to catch and enjoy the beautiful scenery of Mount Tai as much as you can. 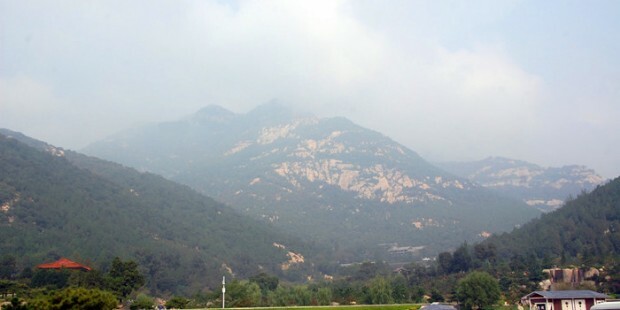 Mount Tai is one of the “Five Great Mountains” in China. It is located in Tai’an County, in the middle of Shandong Province. 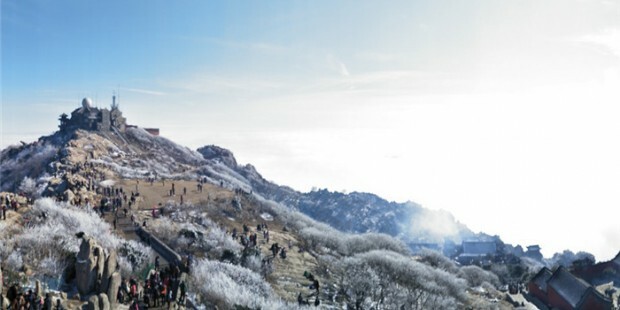 With its unique natural beauty, historical and cultural significance, Mount Tai is regarded the leader of the five great mountains and is the most climbed mountain in China. Despite its enchanting scenery formed by peaks, valleys, waterfalls, rocks, flora and fauna, Mount Tai is remarked by its four spectacles of Sunrises from the East, the Sunset Glow, the Sea of Clouds and the Golden Belt along the Yellow River. At the same times, Mount Tai is abundant in historical and cultural relics and artworks. It also plays an important role in the development of Buddhism and Taoism. For anyone fond of mountain climbing and gorgeous natural scenery, Mount Tai should not be missed out. 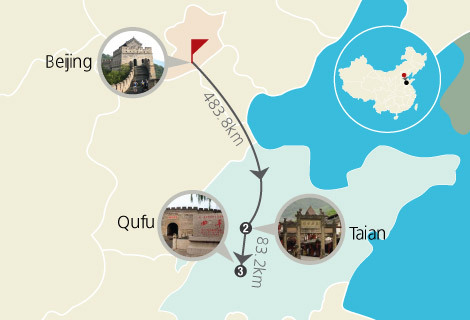 At last, our guide will transfer you to the hotel in Qufu and help you check in. After breakfast, our guide will pick you up at the hotel and bring you to visit the renowned The Three Confucius. The Temple of Confucius is largest and most famous of the temples of Confucius in China. It has a large occupation of 16,000 square meters and a large-scaled complex with a number of 460 rooms. 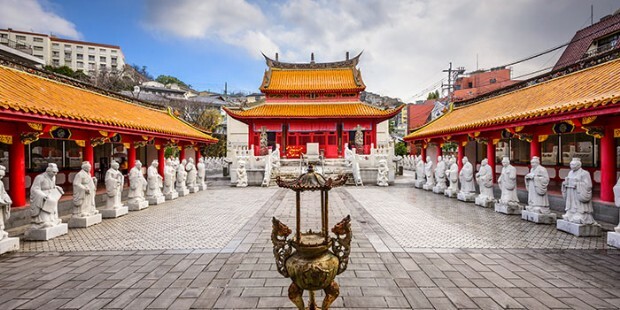 The temple was first built in 478 BC and after several times of reconstructions and expansions, the temple has become one of the three largest ancient architectural complexes in China. With its grand size and constructions, and its numerous historical and cultural relics and artworks, the Temple of Confucius is really museum to get to know Confucius and Chinese history and culture. Cemetery of Confucius is also known as Kong Lin is where Confucius and many of his descendants are buried. Kong Family Mansion is located in the east of the Temple of Confucius. It is the residence where Confucius descendants lived. After the visit, our guide will transfer you to Qufu Railway Station and you will take the High-speed train back to Beijing. Our guide in Beijing will pick you up and transfer you to your hotel. Thanks for having this trip with us! * Prices are based on groups of 4 people or more.